I'm really into beauty and makeup sponges at the moment, in fact I more or less apply my entire base makeup with just sponges alone because I adore the finish so much, I have quite a few makeup sponges that I have tried and tested over time but one set that I couldn't wait to give a whirl was the Makeup Revolution Mini Pro Colour Correct Sponge Set, I mean can we all just take a second to appreciate how cute and pretty the colours of these are! 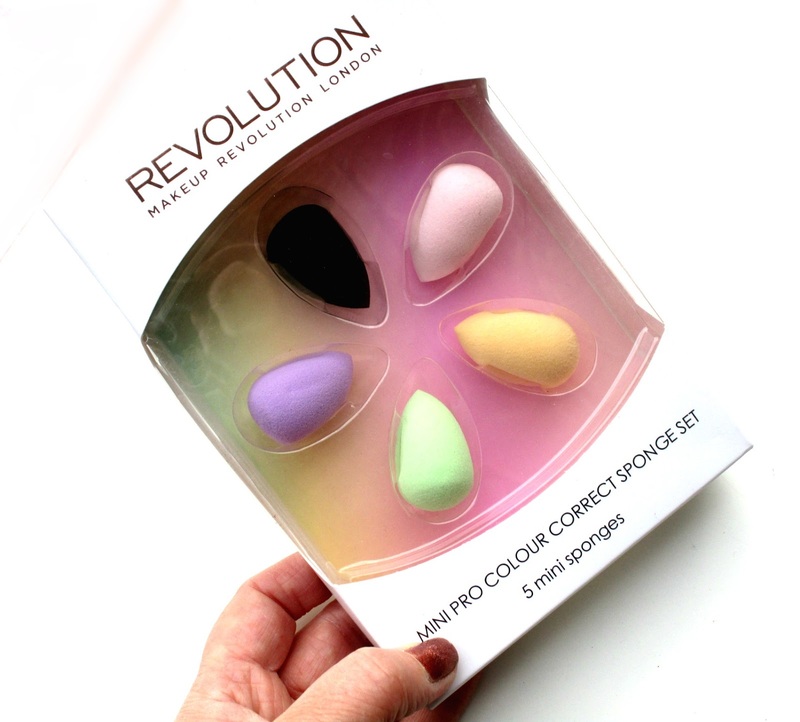 The Makeup Revolution Mini Pro Colour Correct Sponge Set* (£10.00) contains five mini sponges/applicators that together help achieve the most precise and targeted blending. What makes these cute little sponges different from others that I've seen on the market is that each sponge is a different colour, this isn't just for the 'pretty' effect but instead to help us with colour correcting! Four out of the five sponges match up with the same colours that we use to colour correct, for instance you could use the purple mini sponge with your purple colour corrector to help combat dark under eye circles and you could use your green mini sponge with your green colour correcter to combat redness and so on, theres also a black mini sponge for precise blending of your normal concealer or foundation. 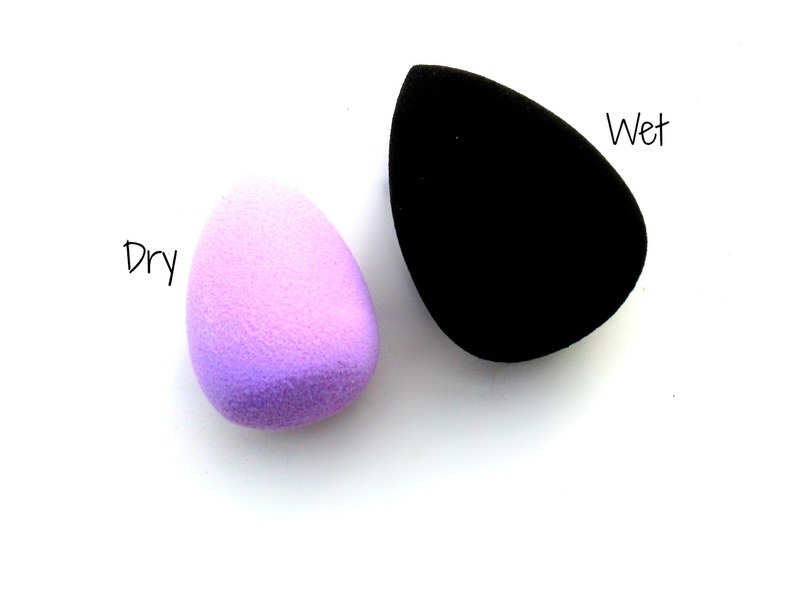 Of course you don't have to use these sponges solely for colour correcting, I actually use them for lots of different things such as blending in my concealer around the eyes and nose and wow the difference is incredible, because of their small size and rounded point its so much easier to blend concealer right into my dark inner corners and all around my delicate eye area and the finish is so flawless too. These are also super handy for applying cream highlighter, blush and contour too which again I've been loving them for! Like with all of my sponges I dampen these little ones first before use and they expand really well and are bouncy enough to feel soft against my skin but dense enough to get the job done, you can also use these little sponges with powder products too, they work fantastically at applying powder under the eyes flawlessly and would be so handy with the current 'baking' trend with loose/mineral powders. 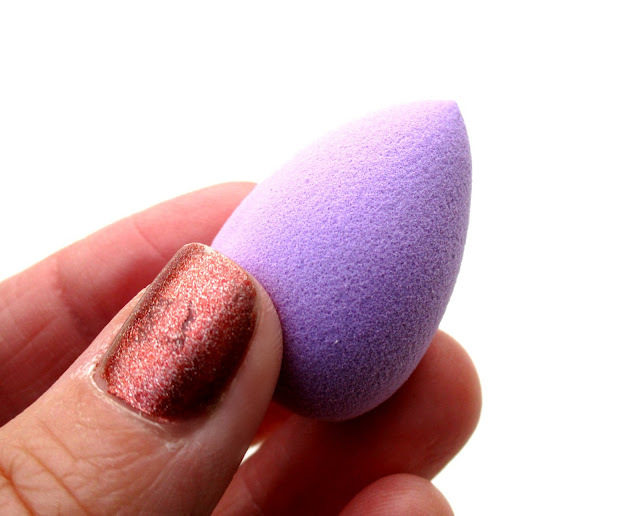 Overall Ive been absolutely loving these mini sponges, and if you haven't tried anything like these little beauties before then your seriously missing out, I find them so handy and I wouldn't blend my concealer in with anything else now! Also with Christmas coming up this set would make an amazing stocking filler for an beauty lover so it might be worth keeping that in mind beaut's he he. 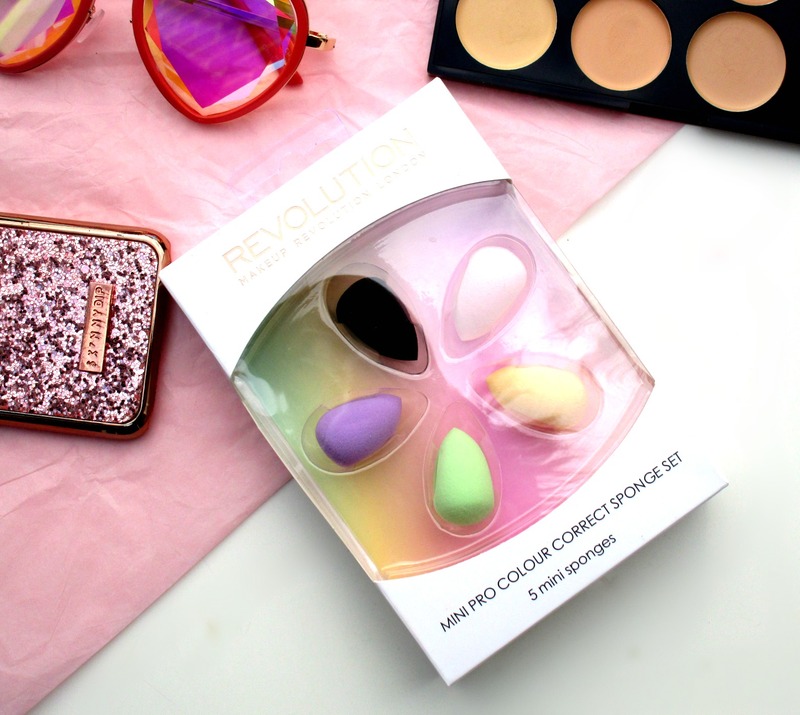 Have you tried the Makeup Revolution Mini Pro Colour Correct Sponge Set yet beaut's? I'd love to know?